She gets very little sleep, her mind racing with a million thoughts at 3 in the morning. She doesn’t have time to sit down for a proper meal. The smartphone is glued to her palm; her email is like a master that should be attended to every minute of the day. If she has children, she doesn’t have time for them. If she’s in a relationship, it’s most probably on the rocks (or her partner is simply silently suffering). On the other hand, work suffers too because there’s just so many things on her plate. The biggest victim, though, is her health and wellbeing, which are the least of her priorities because with all her responsibilities, she “needs” to be present 24/7. If this is the story of every single day in your life, then it’s time to take your life back. Granted, there’s no easy fix to solve your endless to-do lists, money problems, the horrendous traffic and other daily challenges. But there’s a way for you to free yourself from the debilitating anxiety, depression, resentment and other negative mental processes that can hold you back from achieving your goals. Through meditation, you can minimize unhelpful thoughts and reveal the positive energy and viewpoint you need to drive yourself forward. 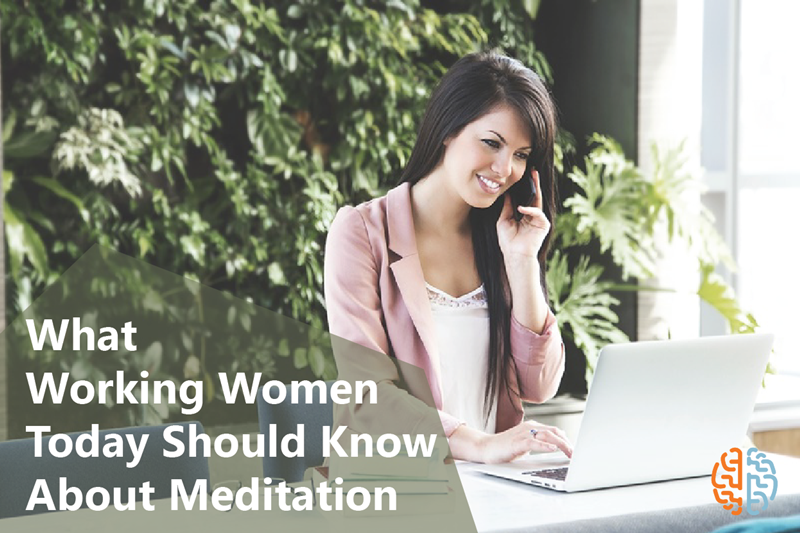 Busy women say practicing mediation, particularly through guided imagery, is an act of de- cluttering and reorganization. If your mind is often filled with panicked conversations with yourself from the moment you wake up until you close your eyes to sleep, you’re not alone. It’s typical for a woman to be attending to multiple, simultaneous concerns. But mental chatter is often the main culprit for faulty judgments and not-so- smart decisions. When you meditate, you learn to rein in your thoughts so you can zero in on what’s important. Another crucial area where medication can help is pain management. It’s common among women to simply endure the pain they are feeling instead of getting medical help. With meditation, you are giving yourself space to truly listen to the needs of your body. If you’ve been in denial about pain, the head space that meditation provides can allow you to truly understand how pain impacts your everyday life, while giving you the drive to finally seek the relief you need. Moreover, a stronger mental game thanks to meditation gives you more control of your pains which is a prerequisite for gaining more control of your thoughts and emotions.